In many respects, the “invisible primary” that precedes the formal delegate-selection phase of the 2012 Republican presidential nomination process has gone very well for Mitt Romney. Despite his status as the Establishment candidate, he has not become an unacceptable pariah to the ascendant Tea Party-Christian Right factions in the party and he has cruised through two televised debates without anyone laying a glove on him. The early insider favorite to emerge as the “electable conservative alternative to Romney,” Tim Pawlenty, has already withdrawn from the contest, and the two candidates who have survived the early skirmishing, Michele Bachmann and Rick Perry, seem to be pursuing the same right-wing constituencies. But clearly, all is not smooth sailing and blue skies for Romney ’12. The sudden boom in political stock for Rick Perry has not only instantly knocked Mitt from the top of virtually every national poll of Republican contenders; it has also created a set of new challenges for Romney, making his laying-in-the-weeds campaign strategy and his aloof, unengaged personal style increasingly perilous. Instead, the idea would be to pick up delegates in the early going in friendly territory, particularly in caucus states where his organizational and monetary advantages should give him some help. Although the race might remain tight for the first month or two of the primary campaign, Mr. Romney would then hope to grab some big prizes once states started to vote on a winner-take-all basis in the spring, including large coastal states where Mr. Romney’s relative moderation could be an advantage. Now that Perry has entered the race, however, it’s an open question as to whether his lead in states like New Hampshire has enough padding to withstand a surge from Perry if the Texas governor wins a big victory in Iowa. Romney now must make the difficult decision of whether to double back on his strategy and seriously contest in the first caucus state after all. But Romney’s problems are more than just a matter of whether he waits until Nevada and New Hampshire to make his play for the nomination. Expecting a demolition derby of other candidates that will allow him to glide to victory is no longer particularly plausible, and it runs a high risk of creating an early one-on-one competition with Rick Perry in which Romney is in an exceedingly poor position. Aggressively contesting Iowa or, for that matter, going for broke in South Carolina and other conservative states, will require that Romney change his passive Hail-to-the-Chief campaign message to something far more comparative, and that doesn’t necessarily play to his strengths as a candidate. What, after all, are those strengths? 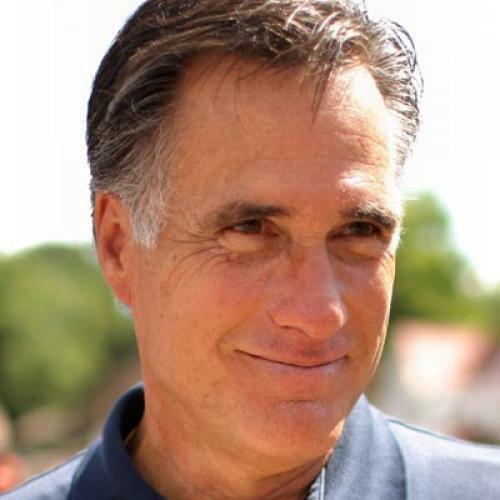 Romney is thought to be well positioned as a candidate who can plausibly offer a different economic path from Obama’s. But that is now Rick Perry’s calling card, buttressed by a job creation record in Texas that Romney cannot match with any equivalent numbers in Massachusetts. And is Romney obviously more electable than other candidates? That, too, isn’t clear, as illustrated by the latest Gallup poll showing remarkably little differences in the performance of Romney, Perry, Paul, and Bachmann against the incumbent. Romney can raise a lot of money, but hasn’t shown so far that he can raise more than any of the other champion money-grubbers in the field. And while Mitt can try to make a more aggressively positive case for his candidacy, no one really believes that he can get excited conservative voters who dominate early contests snake dancing to the polls to put him over the top against carnivorous rivals like Perry and Bachmann. Romney is, at the very best, the New Nixon of the 2012 field—acceptable, but by no means lovable. So at some point, and some time soon, Mitt Romney is going to have to begin making not only a more positive case for his candidacy but a comparative case by way of attacking his rivals. Bachmann and Perry are highly vulnerable to such attacks, but it’s not clear how well conservatives will react if it’s Romney making the case that the Minnesotan’s wacky religious views are beyond the pale, or that the Texan’s contempt for Social Security is a problem. What Romney could really use is a sustained and abrasive attack on his rivals by the mainstream media and/or by Democrats. But will Barack Obama do the candidate his team allegedly most fears the service of tearing down the alternatives? And will actual Republican caucus and primary voters whose right-wing champions are under fire flee them to the safe haven of the anodyne Romney? Probably not. But one thing is clear: Mitt cannot safely continue to just raise money and lie in the weeds hoping the 2012 nomination will be delivered to him. He’ll have to get out there and expose his personal shortcomings as a retail politician to mockery, and expose his positioning as a generic Republican above the fray to the ideological demands of a conservative base that wants the most right-bent nominee that can possibly win next November. The “invisible primary” has been kind to him up until now. The visible primary is about to become a much tougher proposition.